This back country ski was highly recommended to me. 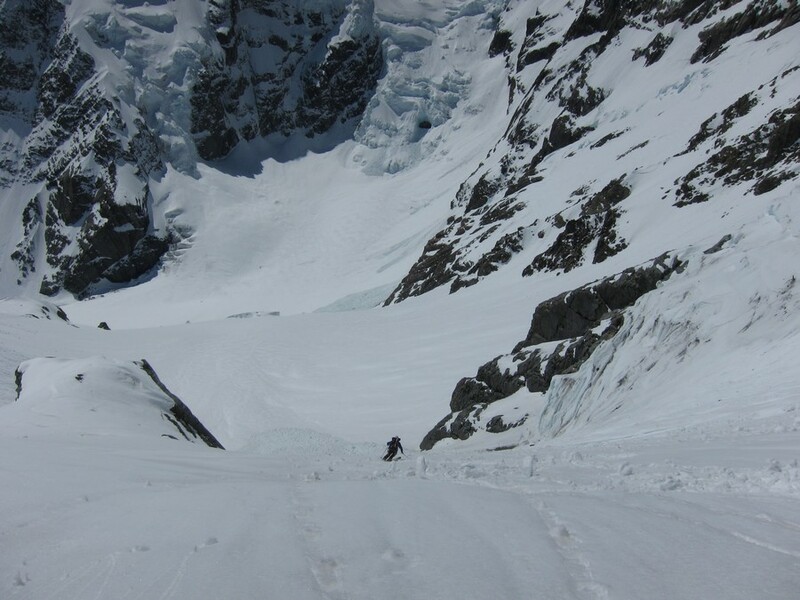 It can be done on the exit day from a trip higher up the Tasman Glacier neves. 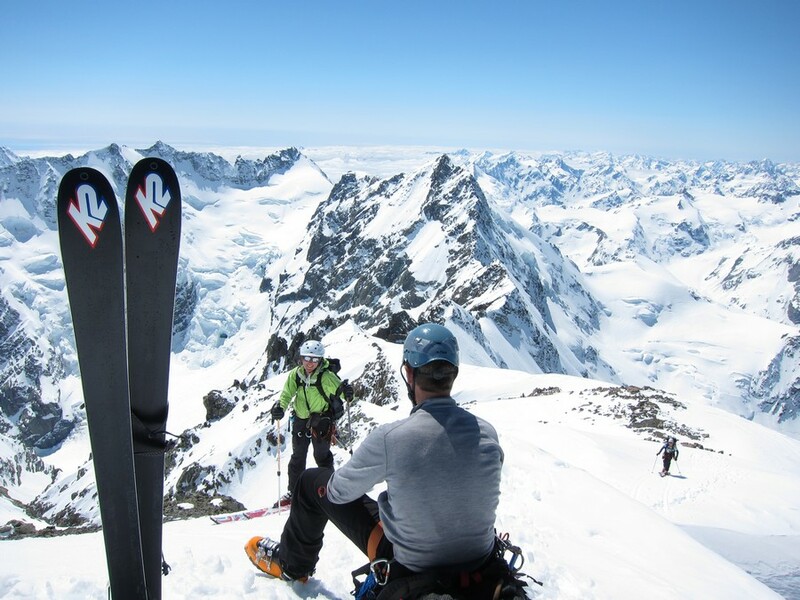 This ski tour has been claimed to maybe be the finest New Zealand ski tour. 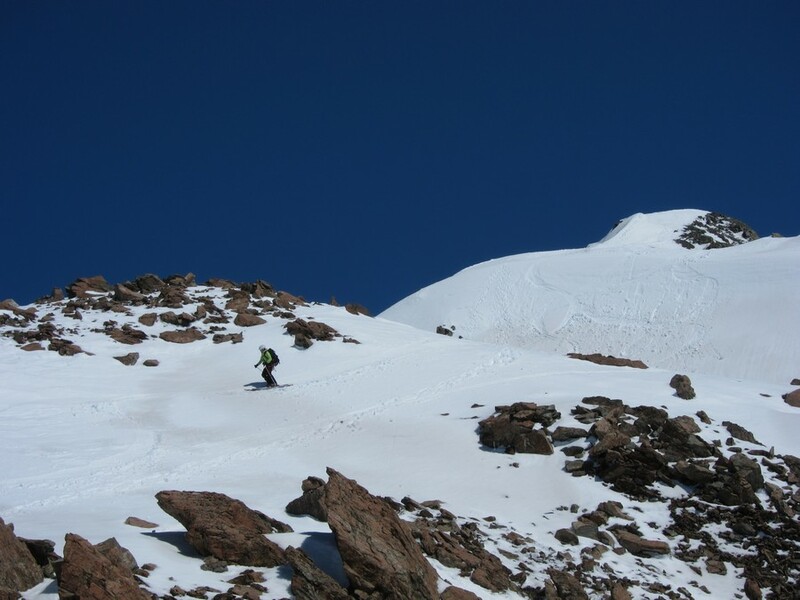 It offers a huge 1400m ski descent from a 3000m peak. The route is continuous and in parts reasonably steep. The exit couloir to the summit ridge of Mt Hamilton is between 35 and 40 degrees. 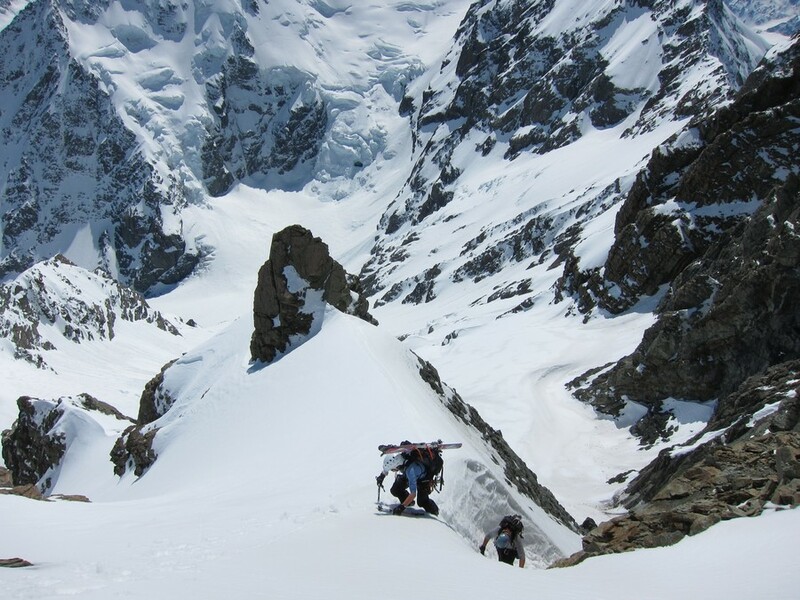 There is obviously glacier travel involved and so crampons, ice axe, crevasse extraction equipment and all the usual gear are required. 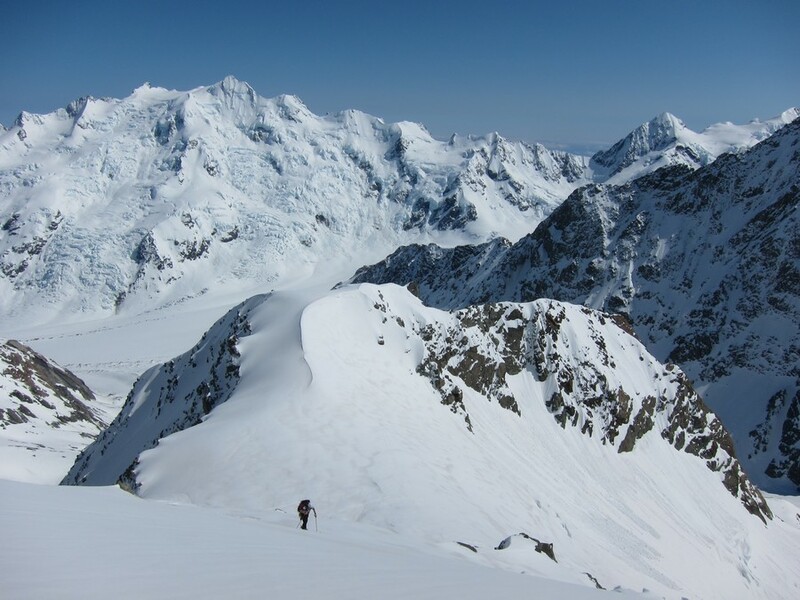 Access – for those unfamiliar with the area the most sane option for access is to fly in a ski plane to Tasman Saddle hut. On the way out from Tasman Saddle a great side trip is the Mt Hamilton ski tour. The route has also been accessed and descended from the Bonney to pt 2633. 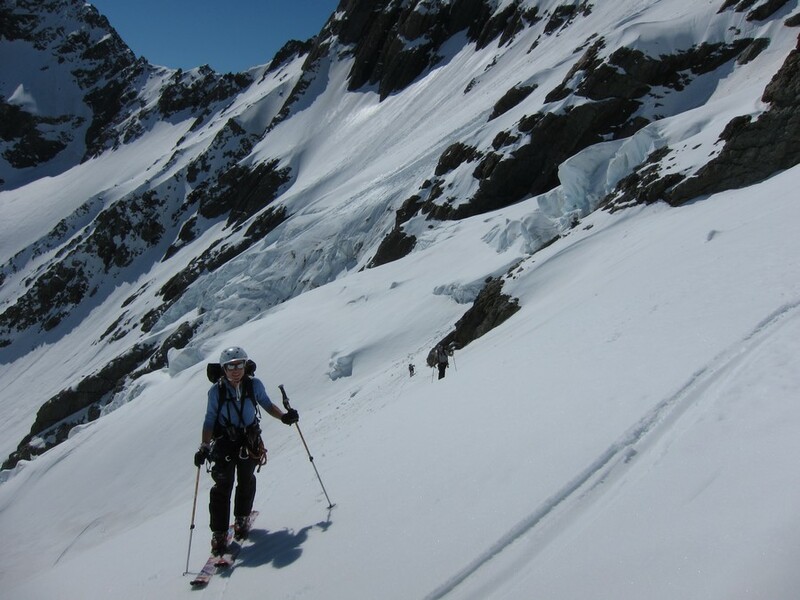 If the moraine wall below the Turnbull has adequate snow cover descending to the Bonney GL and an additional 45 min ski one can descend the Turnbul Gl to the Tasman. 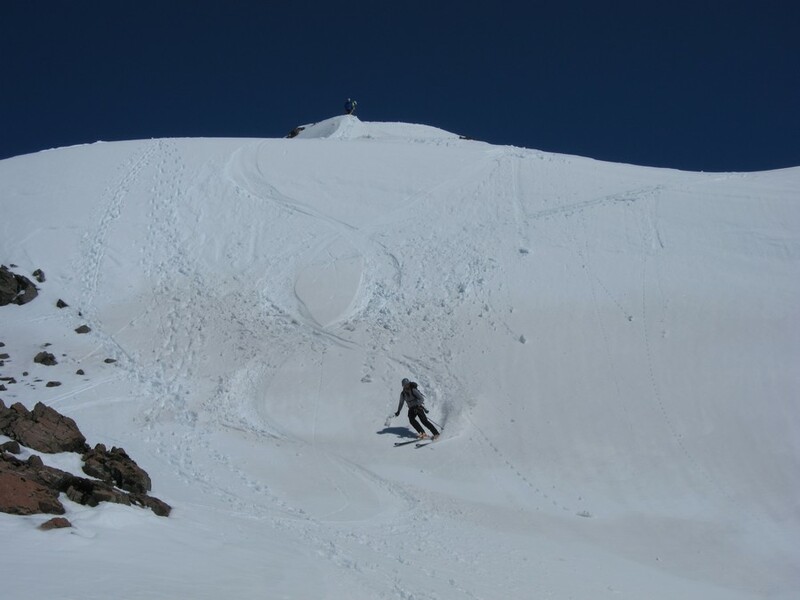 Due to the length of ascent and aspect one should be cautious of triggering wet slides and the terrain above on the descent. how broken is the access off the Darwin glacier onto the snow field that leads up to mt Hamilton. 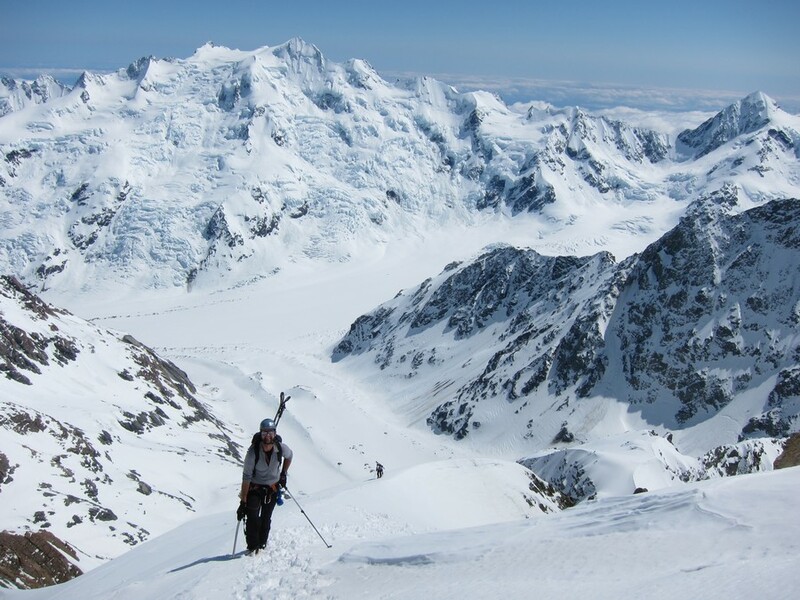 I skied the bonney glacier a few days a go and looking up the up the Darwin to the route marked on your map it just looked like an ugly ice fall. Does it become more obvious as you get high up the Darwin? It is a glacier and crevassed terrain but not an ice fall and you are exactly right in saying it becomes more obvious as you go up the darwin. In fact it is not really obvious until about 100m from the end of the Darwin. In general it is less cut up and complicated than the Bonney so if that went ok the further east access to Hamilton should. 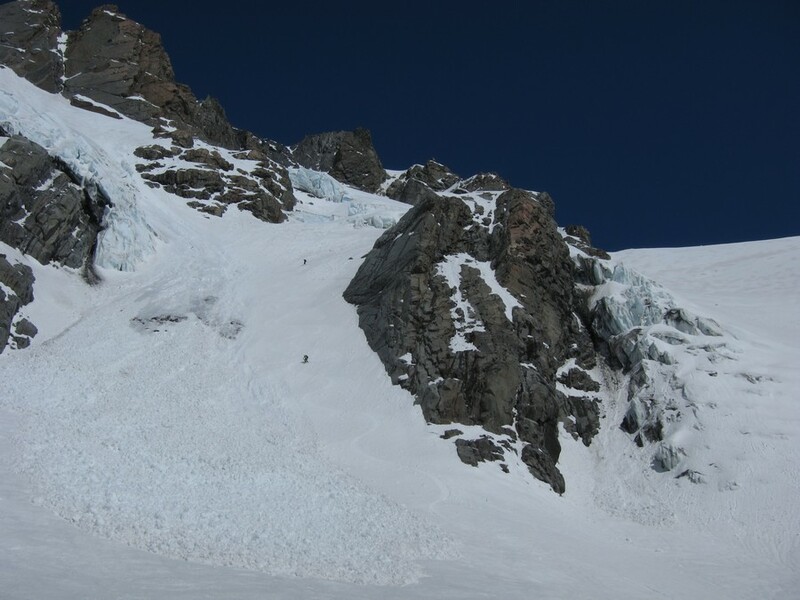 It is more threatened by avalanche though so a good assessment of conditions is required. 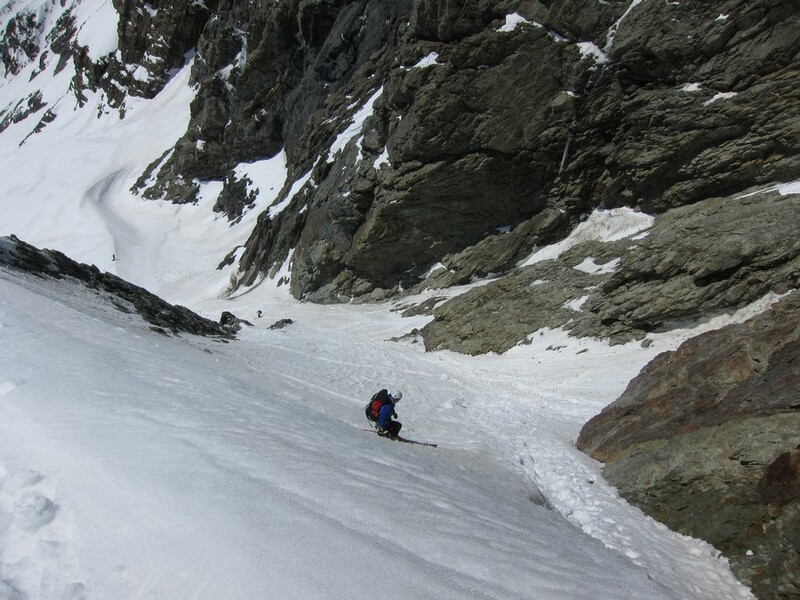 Given current conditions with quite good son cover above 2000m I would think access would not be an issue – just get stability right as you are in avalanche paths the majority of the way.